Get mentored by professionals in the worm farming business. 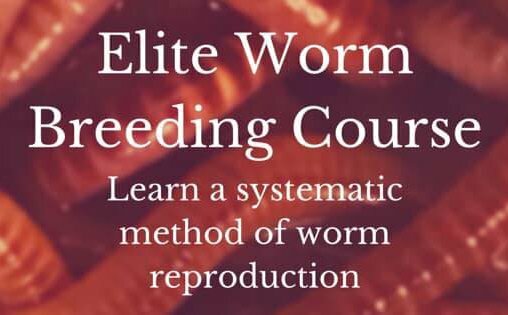 Follow a worm farm plan and start worm farming for profit TODAY! You know you've been thinking about. We all do at some point, but few of us really seriously do it! If you think you've got what it takes then click the link below! If you don't think you've got what it takes to be in the worm farming business that's okay. As long as you have a passion for culturing worms (which you do) and you really want to help others then you've got it made. Did I mention that (even if you're not into worm farming for profit) having access to so much professional information will take your home vermicomposting to the nth degree? Just What is the Worm Farming Alliance About? Practically a University for worm growers wanting to make money with worms, Castings, Tea, Information, Web Creation, etc. Most of us wished we had access to something like this years ago. If you want to save yourself some headaches, frustration, or just a lot of wasted time AND money, then please, head over and unite yourself with the Worm Farming Alliance. Why Follow Success? I Can Do It All On My Own. 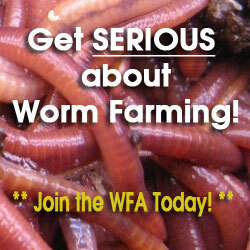 Because I'm a member of the Worm Farming Alliance, I wrote an article in the membership group. I really want to see you and many others become the best you can be, and united is succeeding. This is not the full article, but I want to cover a few points. When I first started my website (WFR) in 2010 I looked at many other worm-related websites. My jaw dropped. There were so many and so much competition! So it dawned on me. The answer lied in the question...“To share my successes and failures with the rest of the world”. Okay then, what’s in it for me?...“To share my successes and failures with the rest of the world”. That’s what I wanted to do. Would you grow produce from your garden to sell on the curb of your house or would you take it to the farmer's market? Would you build a restaurant off the main street where no other fast food restaurants are? Would you say, “Hey! Don’t put my book in Barnes and Noble with all the other books! Gees! No one will even see it! Probably not! We should be joining in and promoting one another IF they have something that you believe in. Bentley (creator of WFA) and I have seen a lot of faces in the Worm Farming Industry. Many of them are no longer in business. You see, the list above is only a community of competition. Although they DO feed on each other for traffic and exposure for income, it's NOT a community like the WFA. There may be competitors in The Worm Farming Alliance, but we don't see each other as competitors, but as "Team Members". We feed on each others strengths, experiences, & mentoring. After that, we go into our own communities (whether online or offline) and show people (who hunger for knowledge) a better way. What an awesome opportunity, to be able to learn from your competitor...I mean a team member ;) The fact that worm farming is still in it's infancy stage and chemical fertilizers are still flying off the shelves, proves that there's still A LOT of room for growth. We have people from all over the world, but we don't have you! So Come and Join the WFA Today!